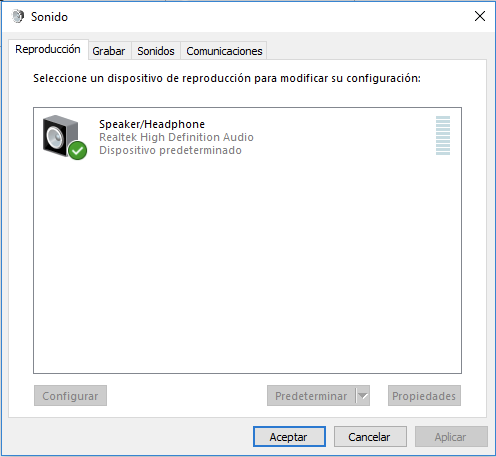 Common issue with the Windows Desktop App audio. If you have issues with the audio we have many articles that will help you configure your audio the right way. We always recommend our customers to use a good pair of headsets. This is because the audio quality will improve making your communications more professional, and the configuration with our apps will be easier. For this, you just need to make sure that your settings on the app are not on default but on the speakers or headset you are using. As seen here. The headset is the chosen one instead of the default. If you can try with any headsets that will really help. If you have your settings on default, the audio setting will change according to the system default preferences. Which you need to match with the right headset for both output and input. 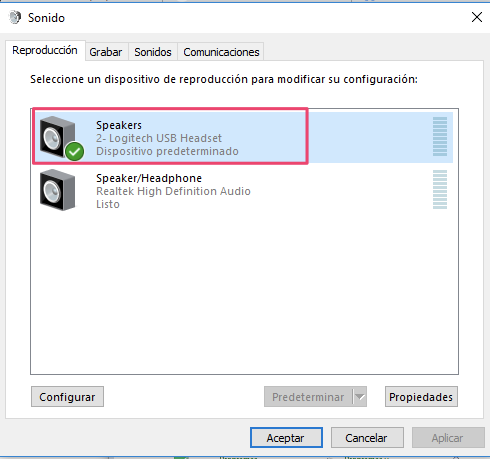 Having the desktop Toky app on a different audio configuration than the system can cause the audio not to be captured for the calls. 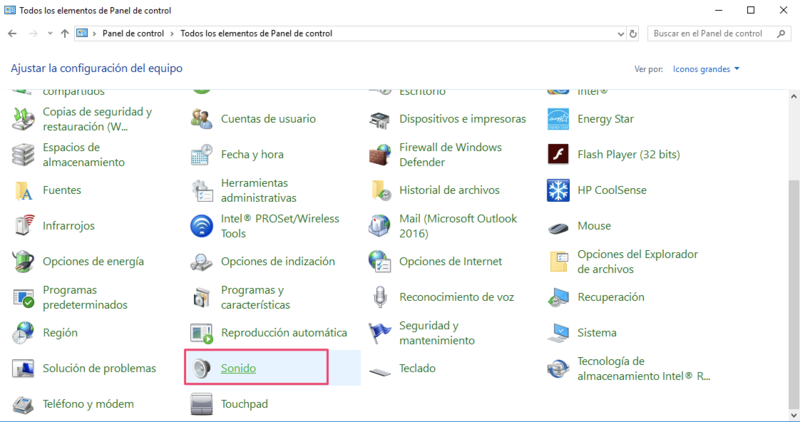 Here you have a guide for the system configuration. 2. 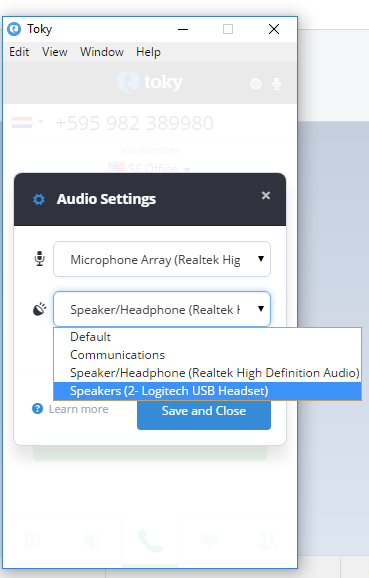 If you haven't plugged your headset yet you will only see your computer's speakers there. 3. Once you plug your Headset. 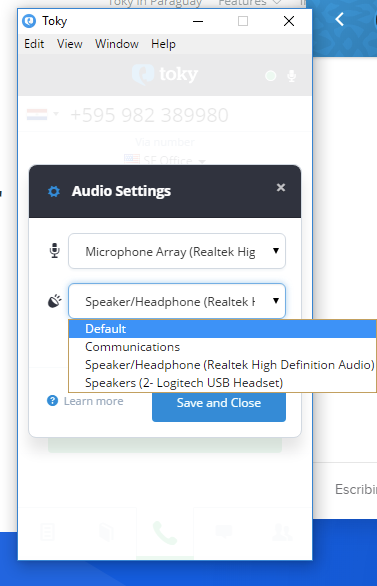 Make sure to have it configured as the default audio device. To capture and send audio. If you have any other questions about this let the support team know so they can assist you with all the set up to confirm this will be working properly for you.